Is it possible to be laser-focused on your goals, and yet carry a laissez-faire approach to life in your back pocket? To be all-in one day, and move on to something else the next and never look back? To be a self-proclaimed adrenaline junkie and also the calm and level-headed voice of reason? Perhaps it’s difficult to say if these dualities can truly exist unless your mettle has been tested, and far easier to know if it’s been tested time and again. At age 73, Rudy Ribbeck is one of those rare creatures who has seemingly lived multiple lifetimes to the average one. Each of the five chapters in his rich and fascinating life so far has been distinct and fulfilling in vastly different ways, and each has served its purpose. Those of us who live in Charlotte know that our perfect weather and Southern charm attract so many transplants that we are hard-pressed to find an actual Charlottean in our midst. Rudy is one such unicorn. Born in Charlotte in 1945, right before the end of World War II, his parents came to the Queen City from Buffalo in search of Carolina-blue skies and four real seasons. Active in the Army Air Corp Reserve, Rudy’s Dad knew that he and his new bride would adapt just fine to life below the Mason-Dixon as long as there was an airfield in close proximity. Morris Airfield, now Charlotte-Douglas International Airport, provided the perfect landing strip for the Ribbecks to feel at home. And not figuratively either … the Airfield was in the Ribbeck family’s literal backyard. Residing adjacent to the airport, Rudy spent his early days in the hangar and out of his mom’s hair as she cared for his baby sisters. At age three, he could be found in a cardboard box loaded with tools as his Dad went about his work as an aircraft mechanic and pilot. By the time Rudy was old enough to ride a bike, he made mischief in the still-intact military buildings, explored the ammo dumps (where the main terminal is now), and hunted rabbits on the airstrip. While other kids sat on their parents’ laps in a regular-old-car, Rudy was in his Dad’s lap flying planes and dreaming big. 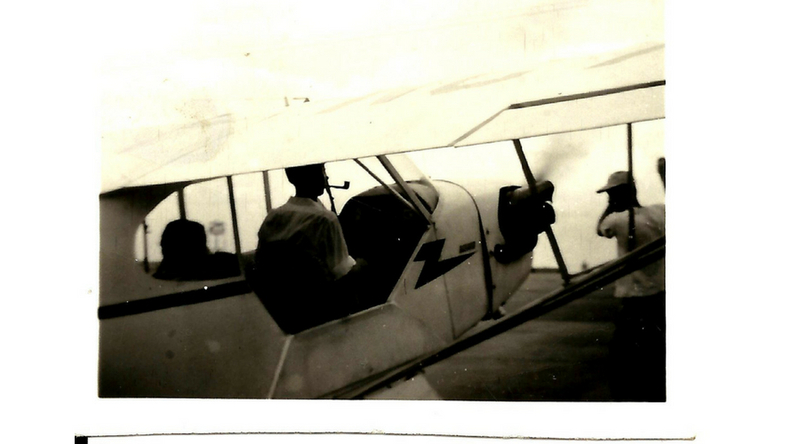 Rudy as a boy, sitting in the back; his Dad in the front at the controls. 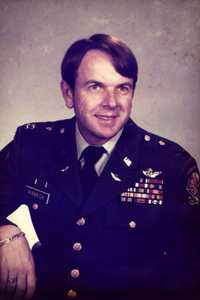 His high school days at West Meck were spent studying hard and serving in the Civil Air Patrol. By the time he started courses at Charlotte College (now UNCC), his sights were set on an aeronautical engineer degree. Not quite carrying a full load, though, at age 19 he was drafted into the military. 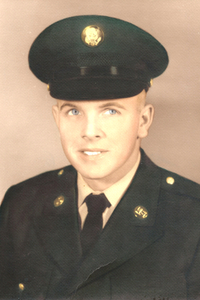 1965 – Rudy reporting for basic training. Iroquois helicopter, also known as a “Huey”. Manufactured by Bell Aircraft Corporation, the Huey represented the distant cousin of the X-2, also a Bell aircraft and only the second in history to break the sound barrier; a machine Rudy’s Dad had a hand in developing. 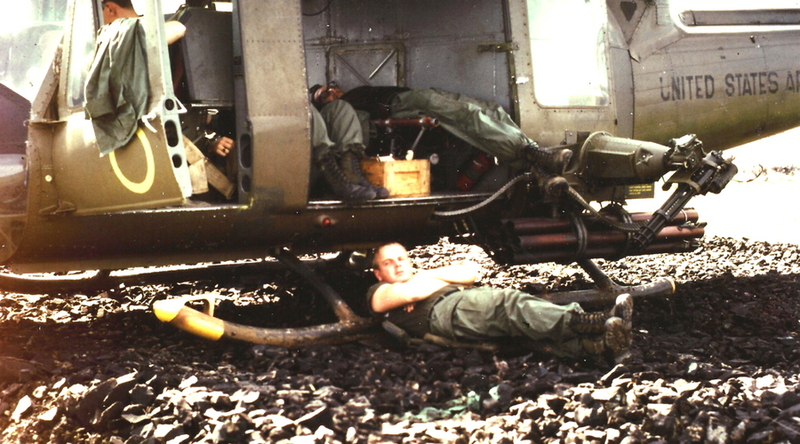 The Huey played a major role in the Army’s Vietnam strategy. It transported troops, shepherded critical supplies, operated as a medivac vessel and was converted to serve as a gunship. As a member of the 1st Air Cavalry Division, one of the most decorated combat divisions of the Army, Rudy piloted a Huey gunship. As a member of the Charlie Troop 1/9 Cavalry Regiment, part of the Division reconnaissance squadron, he courageously flew into foreign territory in the central highlands, hovering just 50 feet above the jungle canopy while searching for enemy positions. Each mission was extremely dangerous and Rudy was shot down three times during his deployment. 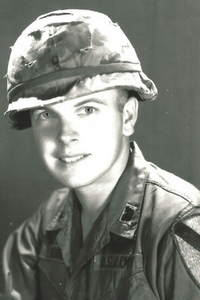 For his heroism and extraordinary achievements during his first tour of Vietnam, he was awarded the Distinguished Flying Cross, two Bronze Star medals and 53 Air Medals. Following his first tour, Rudy returned state-side and was introduced to the Bell AH-1 Cobra, the first helicopter specifically designed to carry heavy weaponry activated at low altitude. The Cobra represented an elevated version of the Huey, capitalizing on its sound transmission, engine, and rotor system while sophisticating the gunship capability. Rudy’s extensive war-time Huey experience landed him the opportunity to serve as a Cobra instructor, preparing Vietnam-bound pilots for their deployment East. 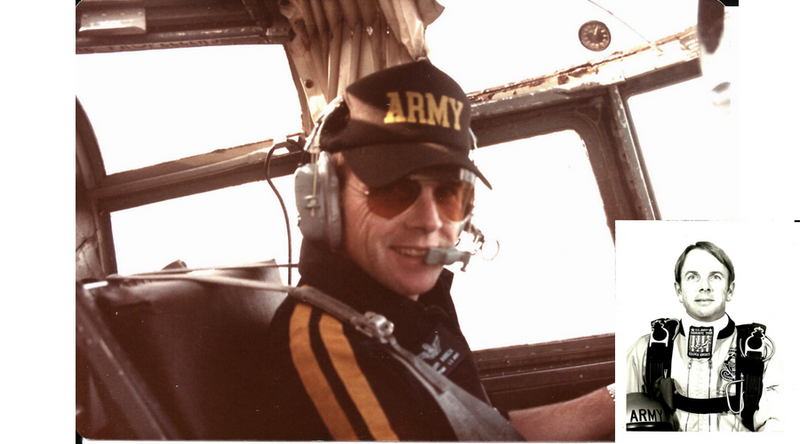 During his year back in America, Rudy attended fixed-wing transition training and was promoted to a Commissioned Officer in preparation for another tour in Vietnam, this time as a fixed-wing pilot. Charged with intelligence gathering, Rudy’s second experience was vastly different from his first. Stationed near Saigon, Rudy flew into Cambodia on the Southern end of the Hồ Chí Minh trail, executing reconnaissance missions by intercepting and fixing the position of enemy radio communications. Upon returning to the US, Rudy was assigned to US Strike Command (STRICOM) at MacDill Air Force Base, a unified combat command charged with responding to crises of global consequence. While serving as a Flight Operations Officer for the Flight Detachment, he began flying a Huey for the MacDill Air Force Base sport parachute club and subsequently learning to himself skydive. After several state-side assignments, Rudy was assigned to an Intelligence Field Station on the Black Sea in Turkey. Armed with Top Secret Security Clearance, the highest clearance level issued by the Department of Defense, Rudy’s assignments were critical and confidential (and so, therefore, not for public consumption!). During assignments and deployments, Rudy concentrated on his studies, all the while advancing in the ranks. After 13 years of night school, Rudy earned his degree in Sociology from Chapman University in Orange California and was promoted from Lieutenant to Captain. Six months ahead of returning to the US for training, Rudy learned that he would be stationed in Fort Bragg in his home state of North Carolina once he returned home from Turkey. During training, he learned that the US Army Parachute Team – the world-renowned Golden Knights – that operated out of Bragg were in need of an Aviation Officer. This interesting proposition was lined with serendipity when Rudy learned that the Commander was a former skydiving buddy from his time stationed at Fort Benning, and he committed to the position. For the final three years of his 20-year military career, Rudy spent his days flying for and jumping as an elite Golden Knight. Supporting the Recruiting Command, he and his fellow teammates inspired prospective soldiers to be all they could be as they executed highly-technical choreography in free fall and streaked the sky with colorful smoke to showcase their velocity, accuracy and general badassery. Rudy flying the Caribou for the US Army Golden Knights. Inset: Rudy’s headshot with the legendary team. All told, Rudy achieved more than 1,000 jumps during his tenure in the Army. Though his retirement in 1985 marked the end of his skydiving career, his time in the air was far from over. Transitioning to civilian life came easy to Rudy, especially after accepting a position flying freight carriers with Orion Air out of Raleigh. 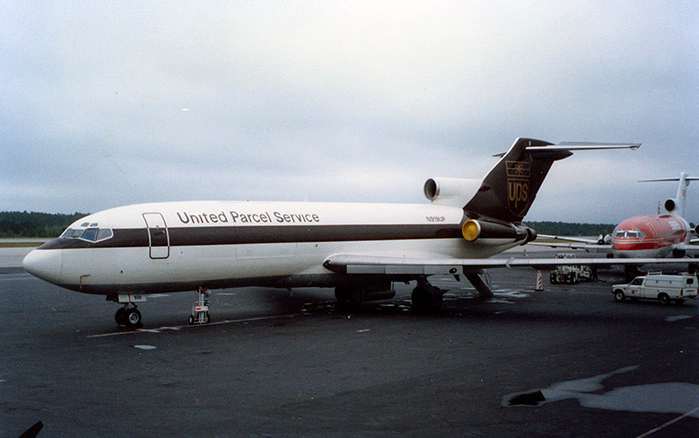 Operating a B727, Rudy spent three years transporting goods primarily for UPS and Emery Worldwide. Orion Air’s bankruptcy led Rudy to explore other heavy jet opportunities. First, he briefly flew for a NASCAR team and then signed on with Northwest Airlines, with whom he flew B727s and B757s, for 10 solid years. 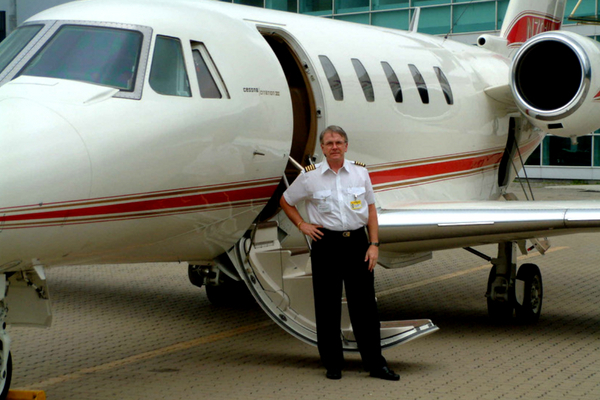 After taking an early retirement from Northwest, Rudy began his third career delivering planes for an aircraft broker. During an assignment that took him to Singapore, he was asked to stay on the island for six months to fly the plane he’d delivered; qualified native pilots were hard to come by due to heavy recruitment from Singapore Airlines. He obliged and his six-month commitment flying the Europe & Asia President of Cemex, a top-notch company to work for and the world’s largest cement producer, turned into five glorious years of travel. His work took him throughout Asia, affording him opportunities to explore Malaysia, Thailand, Burma, Bangladesh, India, The Philippines, Taiwan, Indonesia, Japan, Hong Kong and Vietnam. While most of his work took him to new places, each trip to Vietnam was flooded with memories. He can still recall the surreal experience of communicating directly with Hanoi Air Traffic Control at 2 am during his first time flying into the country a full 30 years following his deployment. In a previous life chapter, he was being shot at; this time around he was being welcomed. A lot about the country had changed, and a lot was just the same. Visceral for Rudy to this day is the distinct smell of the country – farmland, charcoal, scooter exhaust. Rudy’s love of Asia was – and continues to be – deep and sincere, but the call of home was too strong to keep him permanently away and in 2004 he returned from Singapore to the Tar Heel State to start yet another career. With Rudy’s return to Charlotte came his return to the helicopter cockpit. This time, he worked for WBTV Channel 3 – a temporary gig that turned into another five-year position – and covered every type of news event imaginable: fires, car wrecks, tornadoes, floods, drownings, bank robberies; you name it. He then joined the chopper’s parent company, US Helicopters, where Rudy served as Chief Pilot for three years. In this role, Rudy was responsible for all training, hiring and firing for a fleet of 48 news helicopters scattered across the country. 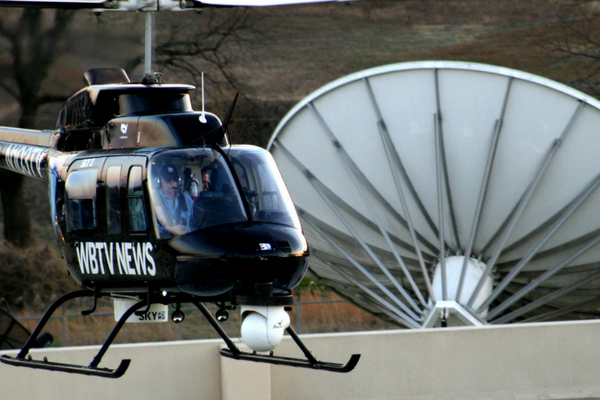 Sky 3 in the air with Rudy at the controls. During this time, Rudy covered several high-profile news stories, perhaps most notably meeting the famous Miracle on the Hudson aircraft at the North Carolina/Virginia border and following it down Interstate 77 as it was slowly transported to the Carolinas Aviation Museum. By the time he’d concluded his time with US Helicopters, he had completed more than 4,500 hours of helicopter time in the military and as a civilian. Rudy then retired (again!) in 2009 and readied to return to his first love – airplanes – in a hobby capacity. 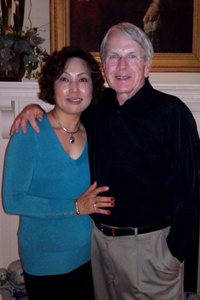 Today, Rudy and his wife Ku Yon (who is Korean) live near Lake Wylie in a house he’s owned for 32 years. Just 15 minutes from Gastonia airport and 20 minutes from the one in Rock Hill, he’s content knowing he’s never far from an airstrip. Amazingly, he and his wife – with whom he fell in love at first sight – met while shopping in Gastonia. Despite his extensive travels through Asia, Rudy’s previous experiences in Korea involved only stopping to refuel while in transit to someplace else; it was Ku Yon who really introduced him to her home country. 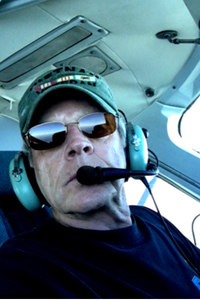 Rudy envisioned a retirement period that would finally provide the time and space for him to delve deep into his personal passions: tinkering with antique airplanes, building cedar strip canoes in his backyard woodshop (that’s the same size as his house! ), and travelling the world over with his wife (including frequent trips to Korea). He makes time for all of these things, but – as has been the case all of his life – his weeks are dominated by time in the air. Now, though, he flies exclusively for Skydive Carolina. 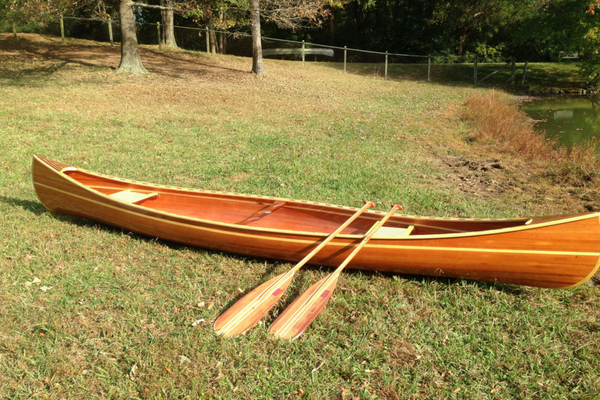 A canoe built by Rudy, himself! He learned about the opportunity to fly for Skydive Carolina during Ku Yon’s first (and, so far, only) skydive experience. While she was airborne fulfilling her birthday wish, Rudy made the acquaintance of the dropzone’s chief pilot who shared that they were in need of a pilot just one or two days a week. After revealing his experience of flying skydivers and himself skydiving since the 70s, he was offered the position in short order. True to form, Rudy’s temporary post transitioned into something much larger. These days, Rudy can be found down in Chester every Wednesday through Friday making dreams come true and loving every minute of it. And that about sums up our Rudy. A kind and generous of spirit, confident yet humble pilot’s pilot. We’d all be lucky to jump with Rudy. Established in 1926, the Distinguished Flying Cross is the second highest ranking military award that is granted to service members of the US military for their extraordinary heroism and remarkable achievement during aerial flight. The Bronze Star, which was instituted in 1944, is given to those who have demonstrated heroic service, meritorious achievement, or valor in a combat zone. 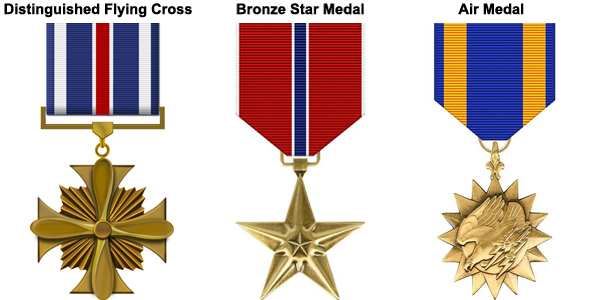 When awarded for valor, the Bronze Star is the fourth-highest ranking award given to an individual. All three of these medals are actively awarded to this day. 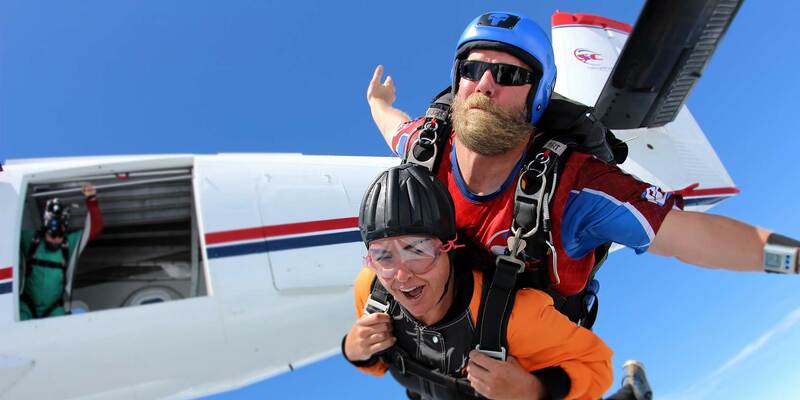 To learn more about Skydive Carolina and schedule your first jump, connect with us! Even if you’re not on one of Rudy’s loads, you’ll most definitely be in good company. Spend some time getting to know the owners and management, ground team, air team, and our pilots; you’ll see for yourself: good eggs all around. Blue skies!